Check out what our 2015 University of Illinois Extension Interns are doing this summer! The Cook County Juvenile Temporary Detention Center was a shocking place to visit. We were allowed to enter after going through security with plants and plans to work with youth contained in the building. 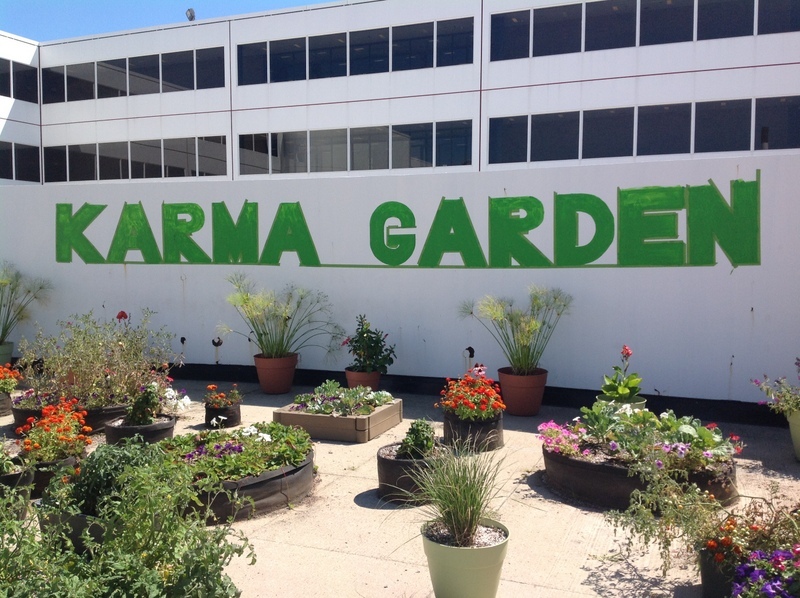 We followed Master Gardeners up to the rooftop and entered the Karma Garden, a flat expanse of land with whitewashed walls, windows all around, and keys to every door. The only relief in that setting was the comfort of green plants and flowerbeds in this garden on the roof. 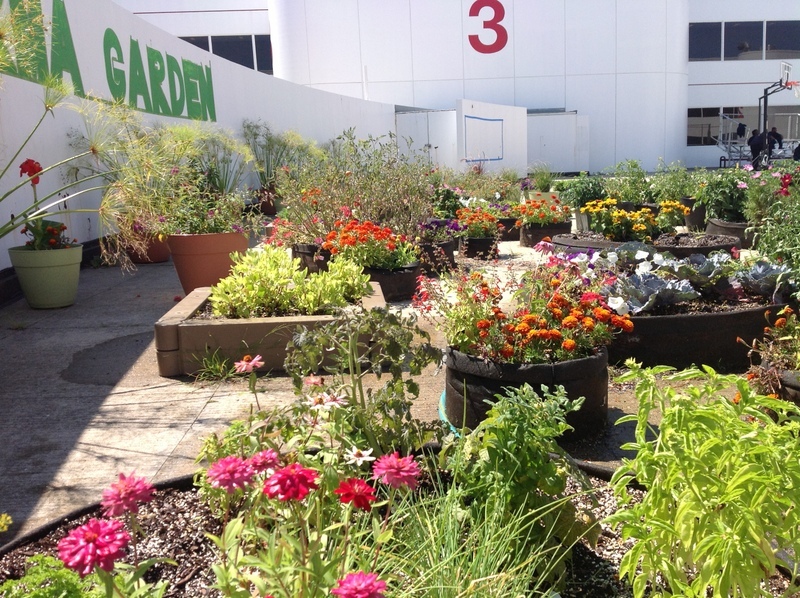 Master Gardeners have been working with 15-17 year old boys in the Detention Center for the summer; allowing them to work outside, plant vegetables and flowers, water under the heat of the sun, establish Smart Pots, and move soil to relieve Master Gardeners. We listened to accounts of the volunteers, explaining that students don't always get to make it out to the green space, often held back by substitute teachers. These circumstances make it difficult to continue maintenance in the garden. We were in that situation today and didn't get to witness any youth working in the garden, but we managed to accomplish a lot in the short afternoon. I think we took a couple of lessons from our visit to the detention center. One involves the perseverance of Master Gardeners and their desire to really make a difference, even in a threatening situation. Another helps us see how fortunate we are to have an education and nothing standing in our way. We will always remember how the confinement of the detention center couldn't contain the creativity and generosity of Cook County Master Gardeners.